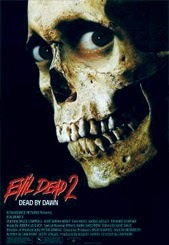 Evil Dead 2... What more can be said about this classic? Not much to be honest, though it's always fun to wax lyrical about this particular bona fide classic. If you haven’t seen ‘Evil Dead 2’, or for that matter any of the other Evil Dead films, I would have to question why you are reading this in the first place? The film is still Bruce Campbell’s signature piece and hugely entertaining at that. It probably isn’t quite as inventive as the previous film, or nearly as quotable as the film that followed, but it still manages to be an equally impressive piece. Although splatstick comedies have been around since the early days of Herschell Gordon Lewis, Evil Dead II is by far the most influential of the genre. The fact that this sequel has appeared on numerous ‘best films ever made’ lists speaks louder than any review ever could, but I will add my thoughts on it anyway. Depending on who you ask, ‘Evil Dead II’ is both a remake of the original and also a sequel. 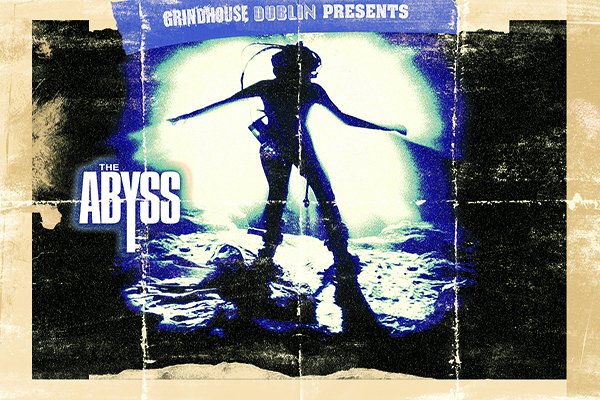 The story reinterprets the original film during its first eight or so minutes. Ash (Campbell) again travels to an old cabin with his girlfriend and manages to reawaken the evil forces within the woods by playing a recorded citation from the Book of the Dead aka The Necronomicon. As this force literally picks up our titular hero, we’re driven directly into sequel territory. Ash along with four potential victims must use the pages of the fabled Necronomicon to seal the gateway between the living and the dead before they too turn into Deadites (that’d be possessed corpses to the uninformed). Evil Dead II is a fantastic rollercoaster ride of a film. Three things in particular stand out; namely Sam Raimi’s superbly inventive direction, Bruce Campbell’s entertaining performance and Joseph LoDuca’s excellent soundtrack. Time has been very kind to the film, and though the special effects feel dated, this only adds to the ever lasting charms of the film. The dialogue is hokum and I challenge anyone not to applaud many of the one-liners, specifically as the character of Ash grows in confidence towards the end of the film. There are miniscule flaws, however entertaining the film turns out to be. Obviously the story isn’t very original and the tone is messy, not knowing to stick to full on horror, comedy or action. Do these criticisms matter? No. The film is too daft and blissfully frenetic for audiences to honestly care. Evil Dead II is a superb sequel, which will only improve as the years go by. ‘Nuff said.